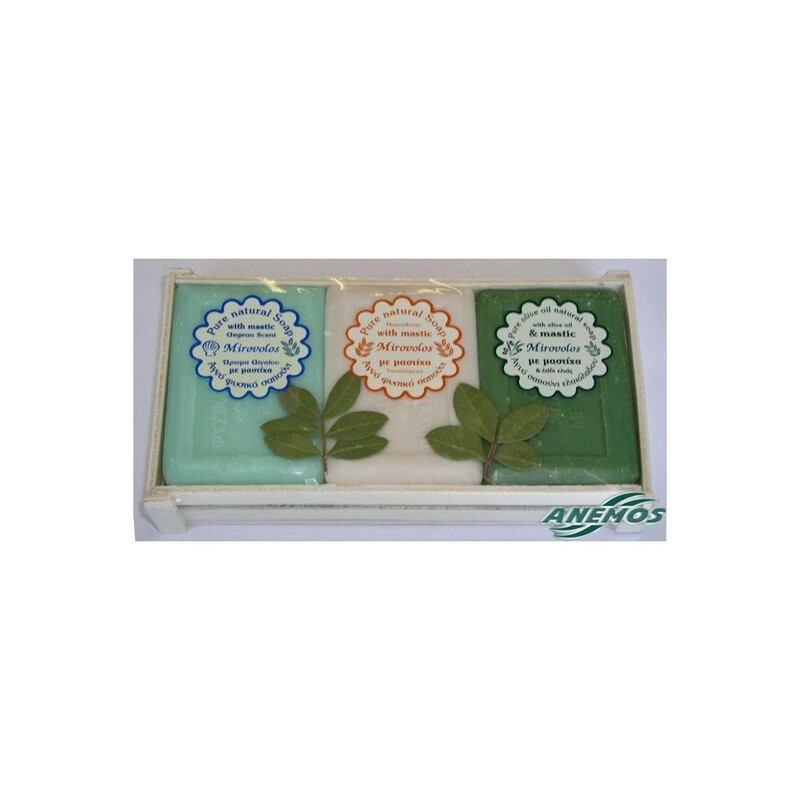 Three natural mastic soaps in one wooden package with real mastic leaves. 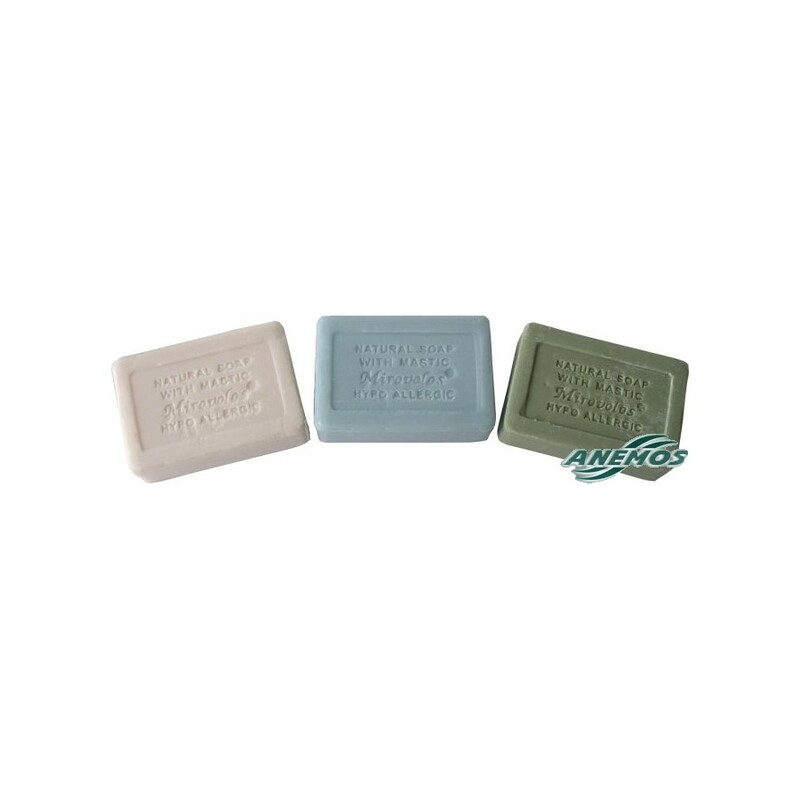 These soaps are made from purely natural, plant derived ingredients and they are enriched with a special formula which contains mastic and mastic oil. They are very mild, with no chemicals used, but very effective in cleaning. 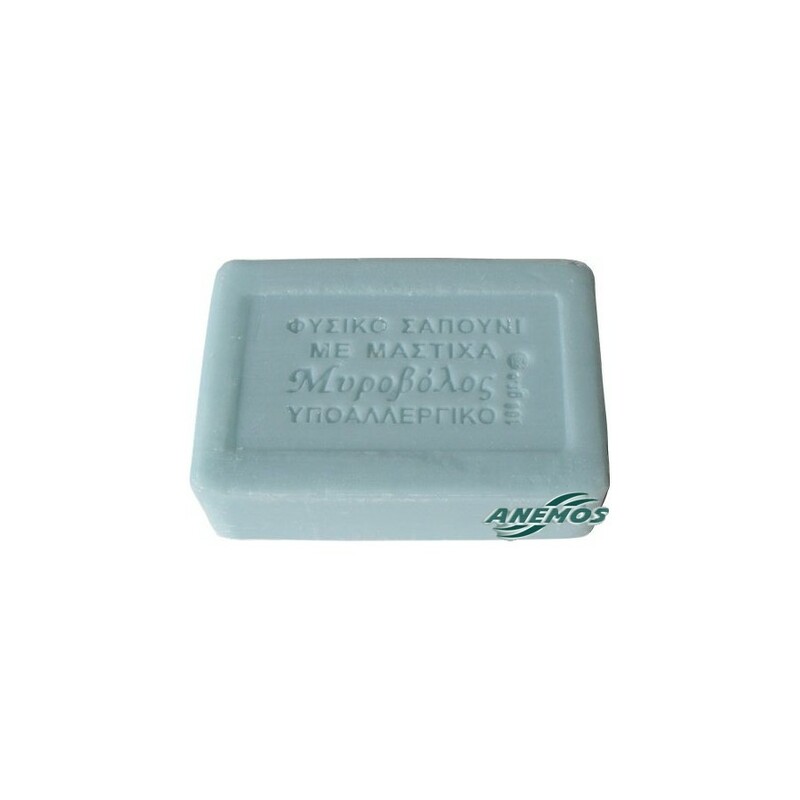 These soaps are dermatologically & clinically tested and they are awarded with an international certification that they are: 100% hypo allergenic and 0% skin irritant. The three different types of the above mastic soaps, in one wooden package with a couple of real mastic tree leaves in the wrapping. 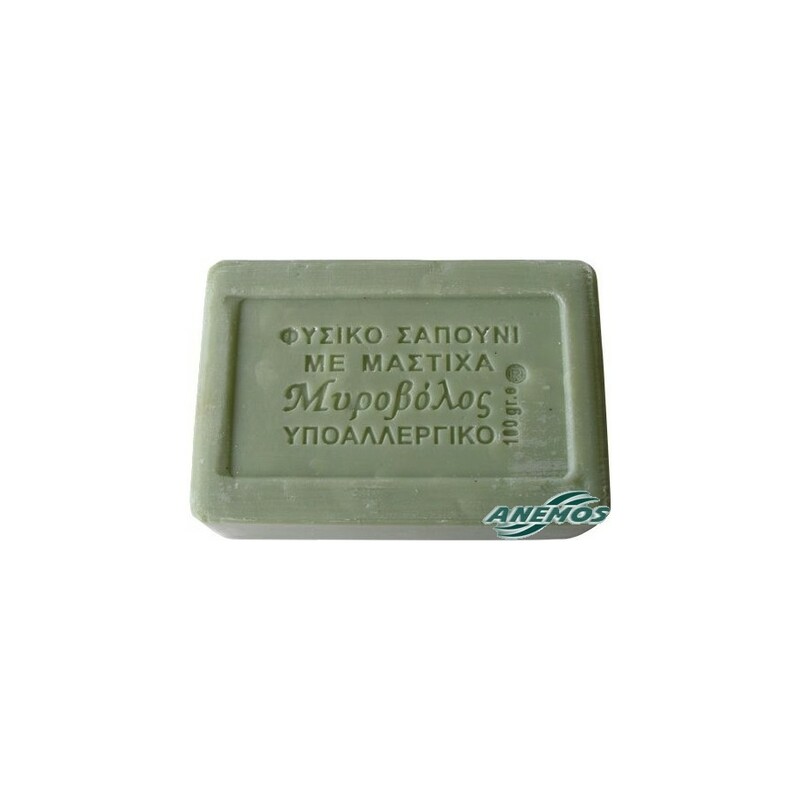 The mastic oil helps to retain the necessary moisture, which is vital for the skin. Also, it removes the dead cells from the surface of the skin, and activates the mechanism that renews the cells with new, healthy ones. Scientific research has shown that mastic oil has a strong antibacterial and antifungal activity.